Welcome to Teachers of Psychology, the home of the Graduate Student Teaching Association (APA, Division 2). Here, you’ll find information about our Peer Mentorship program, our annual Teaching of Psychology conference, schedules and materials for our Teaching Workshops and more teaching resources! 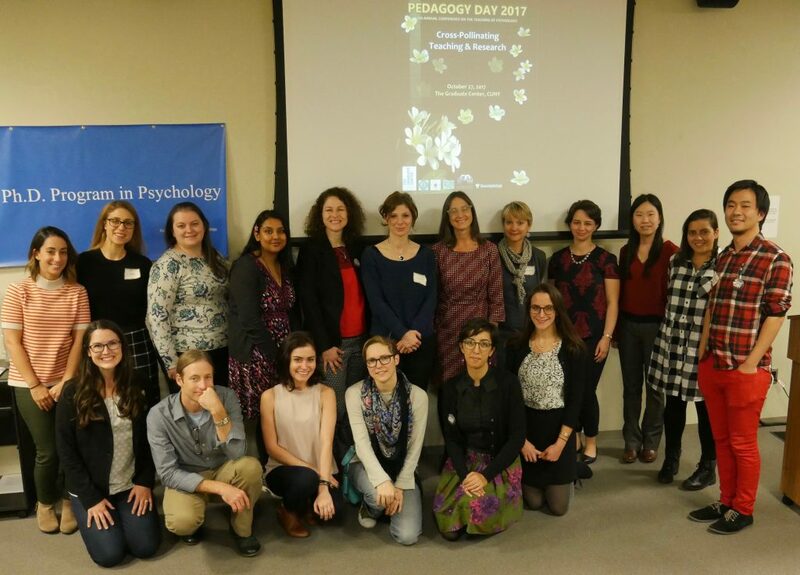 The GSTA is contributed to by the Psychology and Educational Psychology programs at The Graduate Center, City University of New York (CUNY). The Ph.D. Program in Educational Psychology is designed to educate students to conduct basic and applied research, to analyze critically the process of education, to develop and evaluate instructional methods and techniques, and to formulate educational policies and programs. See CUNY GC Educational Psychology upcoming events, program news, and student news. The Ph.D. Program in Psychology prepares students for research, teaching, and practice in the various fields of psychology. Students may specialize in one of a number of training areas. See CUNY GC Psychology news and awards. © 2015 Teachers of Psychology. All Rights Reserved. Theme crafted by George E. Frog.